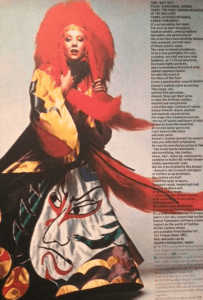 HOME » Blog » Kabuki and the Art of…David Bowie? Kabuki and the Art of…David Bowie? Last year (September 2015), our Emily took a look at how Japanese designers and aesthetics influenced David Bowie’s on-stage persona – A great read written by a huge fan of the music legend. Many people are familiar with worldwide Glam/Pop Icon David Bowie, (and if you’re not, get to familiarizing yourself, post haste! ), but here’s something many people might not be as familiar with. 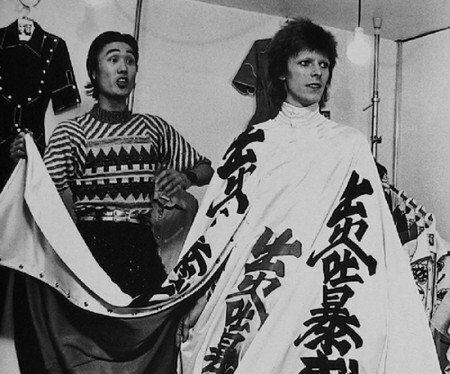 Did you know that Japanese Kabuki imagery inspired much of David Bowie’s fashion? But first of all, what is Kabuki? 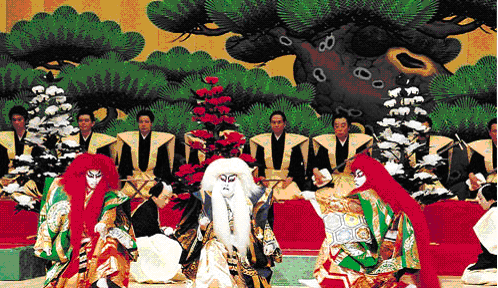 Kabuki is a famous and long-standing iteration of Japanese traditional, musical theatre. Kabuki is most widely recognized for its elaborate costumes, make-up and unique musical quality. In fact, there is a word in Japanese called “kabuki-mono” which means; ‘a person who attracts attention due to their strange clothes/hairstyle and overall odd behavior’. 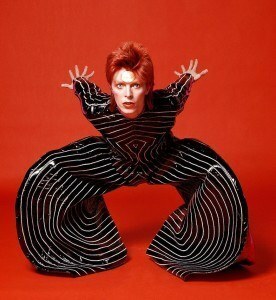 No wonder David Bowie found this to be an all-around appealing fashion statement! 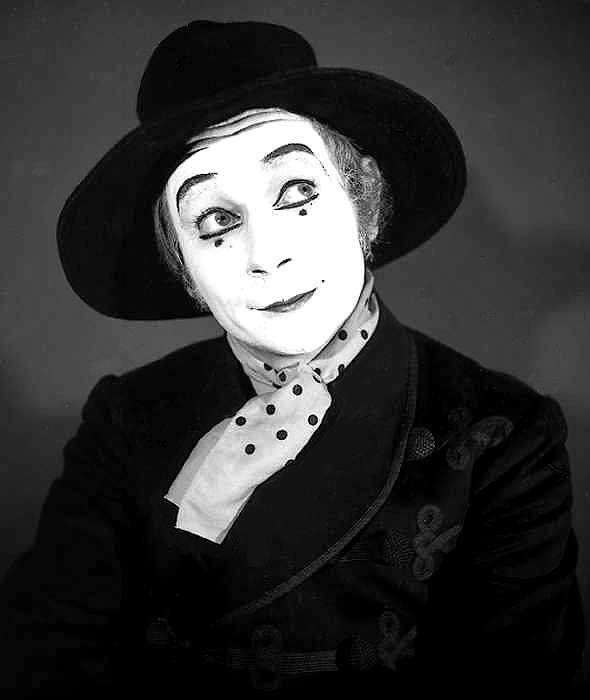 Much of David Bowie’s early stage training was thanks to mime instructor/performance artist Lindsay Kemp, who initially introduced Bowie to the movements and theatre conventions used in both Noh and Kabuki. One of the iconic images of David Bowie is of course the Ziggy Stardust persona. However, this alter-ego was created with some of the designs and hairstyles seen in Kansai Yamamoto fashions. For those unfamiliar with the designer, Kansai Yamamoto clothes are largely known for their off-beat, eye-catching and unique style, much of which are very strongly inspired from Kabuki imagery. Bowie’s celebrated hairstyle, as created by Yamamoto, was electric red in color, imitating the look of a flaming-red lion dance wig of Kabuki theater. Page from Harpers & Queen, London 1971 design by Kansai Yamamoto. Hairstyle and makeup by Sachiko Shibayama. 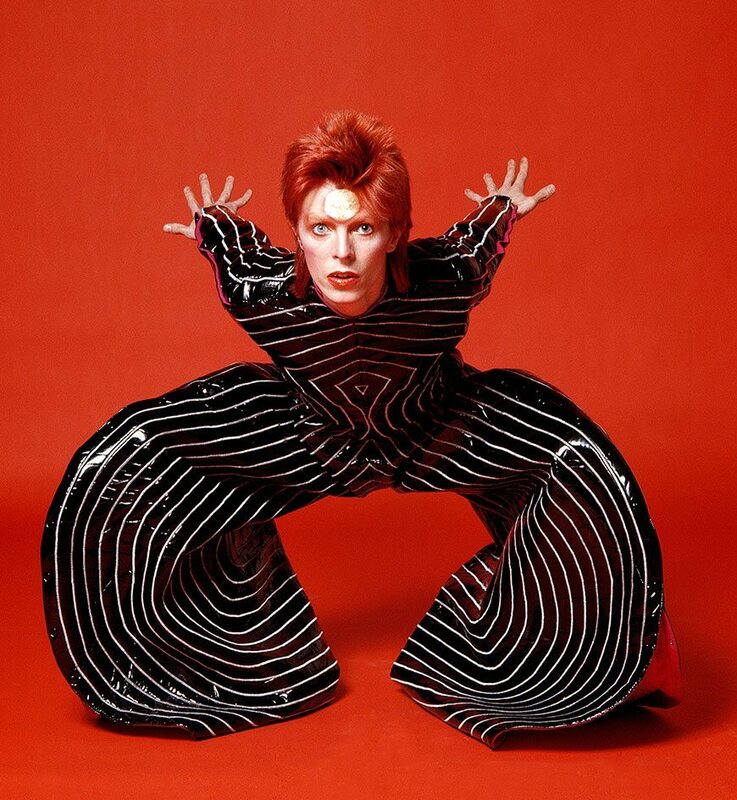 Kansai Yamamoto’s influence over David Bowie’s fashion didn’t just stop at hairstyling. 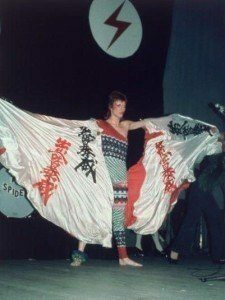 In fact, Yamamoto’s own personal stylist, Ms. Yasuko Hayashi was working with David Bowie as well and had provided Bowie with some of Kansai’s latest clothes and fashion designs, which he wore onstage at his 1973 performance at Radio City Music Hall in New York. When Kansai caught wind that a male rock and roll artist was wearing his designs, he was just as instantly intrigued and came all the way out to New York City to meet Bowie- and thus a fantastic partnership and some iconic fashions and costumes came as a result of this meeting. On talking about Kansai’s designs, Bowie said “They were everything that I wanted them to be and more…heavily inspired by kabuki and samurai, they were outrageous, provocative and unbelievably hot to wear under the stage lights.” One of Kansai Yamamoto’s famous costumes for David Bowie is the iconic while cloak with red and black kaniji characters on it. The cloak was created entirely for the purpose of “hikinuki”, kabuki-style quick on-stage changes of costume. In fact the kanji themselves actually spell out “David Bowie” phonetically and loosely translates as, “One who spits out words in a fiery manner”. Kansai Yamamoto and the “One who spits out words in a fiery manner”. 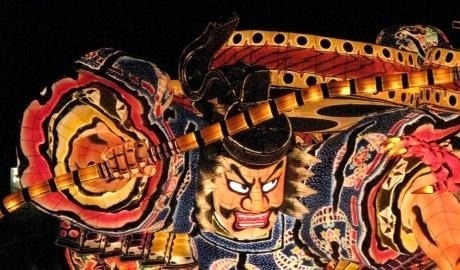 So, if you feel a strong connection to Japan and like many aspects of the culture appeals to you- fear not- you’re not alone! Many artists, performers, writers and people all across the globe have found something about Japan and Japanese culture that appeals to them. So, don’t be afraid to dive-in, explore and find something about Japan that truly speaks to you!